Koral rød Montblanc no. 214. 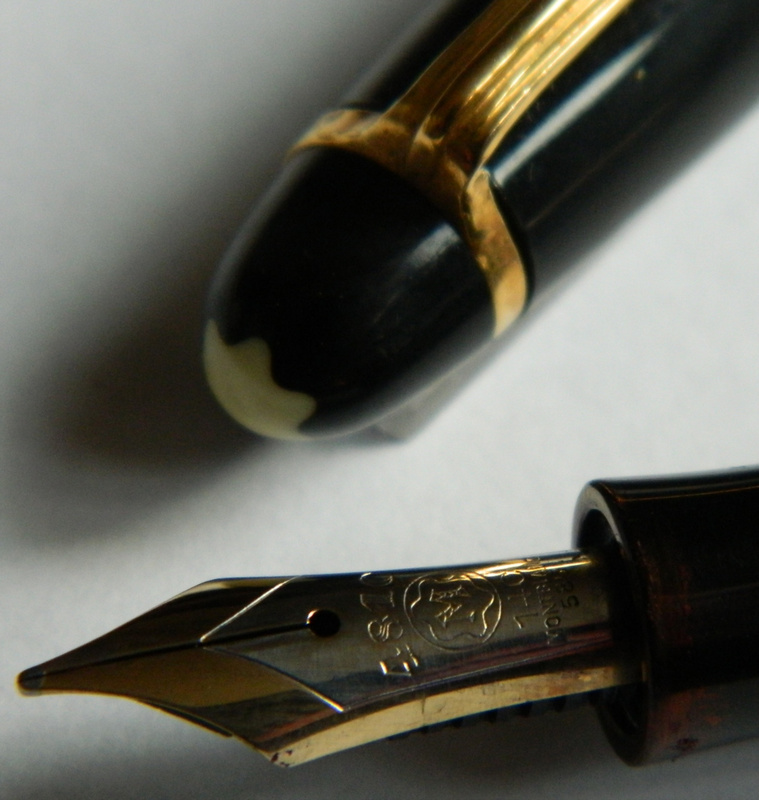 Alle dele originale Montblanc. Produceret omkring 1955. "Push button filler". 13½ cm lang. d.kr. 1.600,00 eller 216,00 Euro. Koral rød Montblanc no. 214. d.kr. 1.600,00 eller 216,00 Euro. 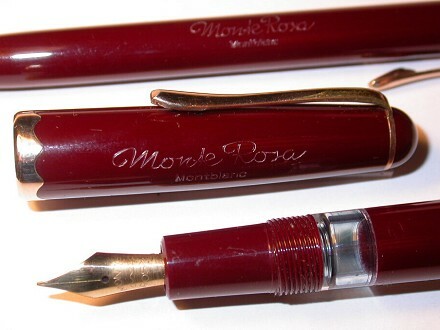 Koral rød Montblanc no. 214. 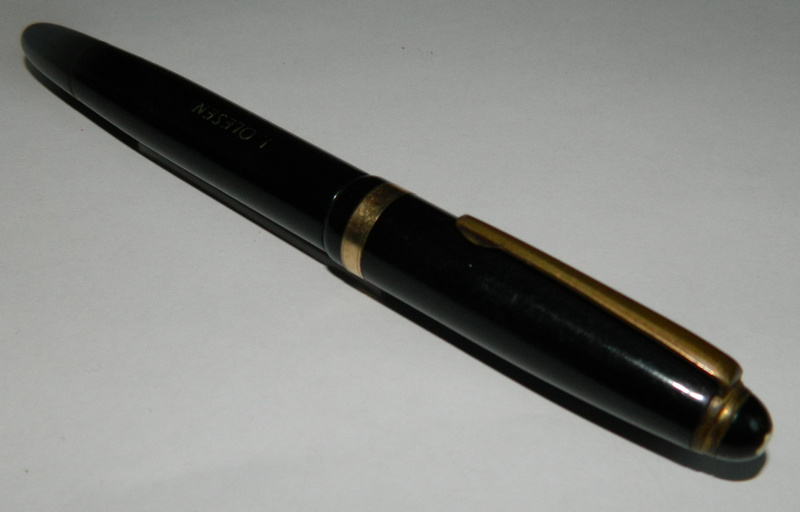 Black Montblanc Masterpiece # 142 fountain pen. Stribed ink window. Piston filler. All original parts. 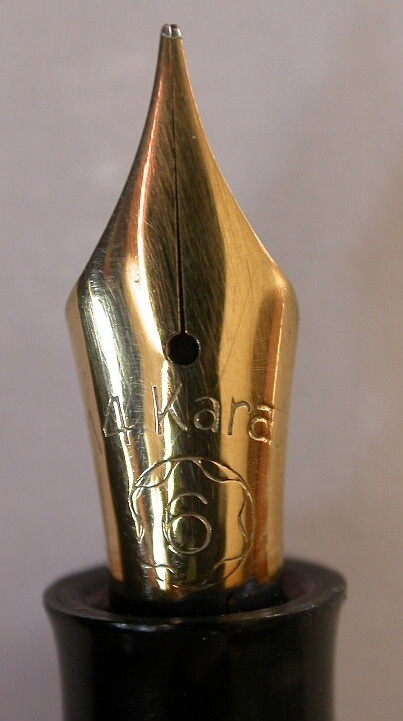 Two color 14 Carat gold nib. 13 cm long. No damages or repairs. Ready to be used. Price on request/Ret henvendelse ang. pris. 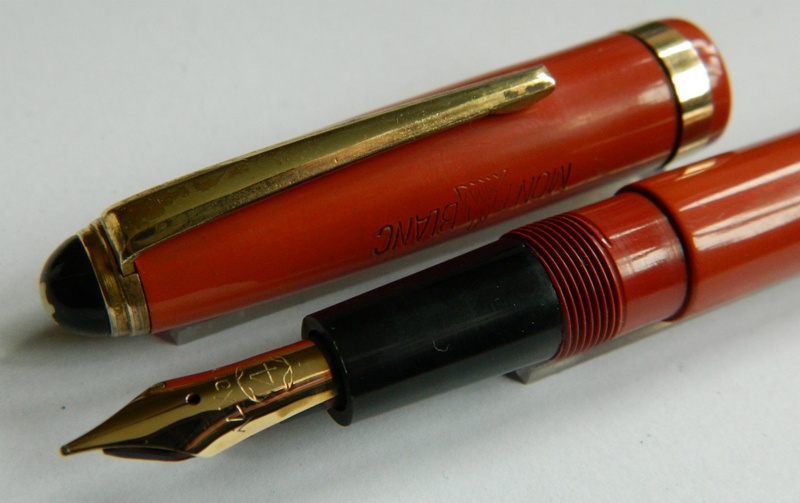 Coral red Montblanc no. 20. Push button filler. 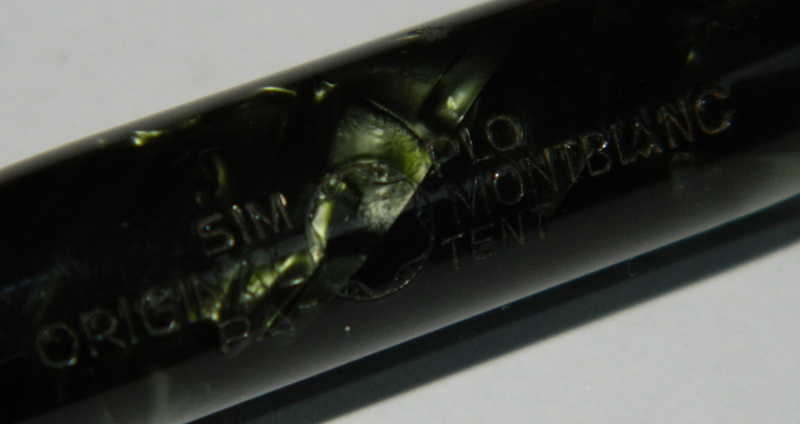 Text on the barrel: SIMPLO ORIGINAL MONTBLANC D.R.P. Ready to be used. Cap mark on the barrel. 12½ cm long. PRICE ON REQUEST / Ret henvendelse angående pris. 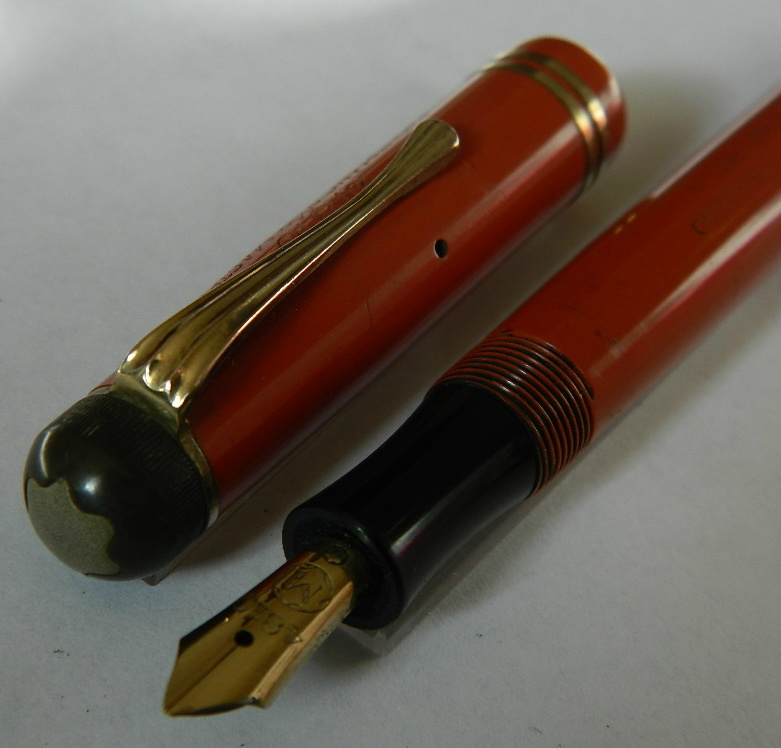 Coral red Montblanc no. 20 fountain pen. 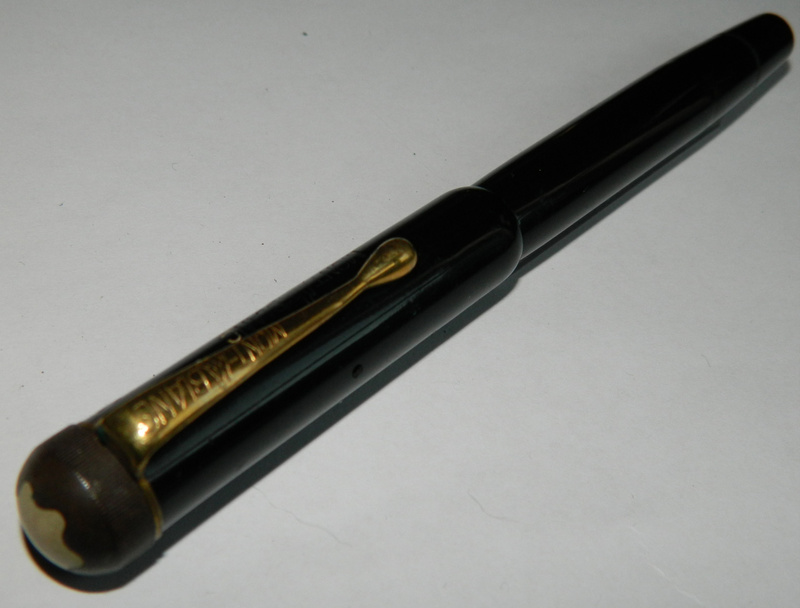 Black hard rubber Montblanc fountain pen. 1940s. Push button filler. Ready to be used. 12½ cm long. 1.100,00 d.kr. or 148,00 Euro. 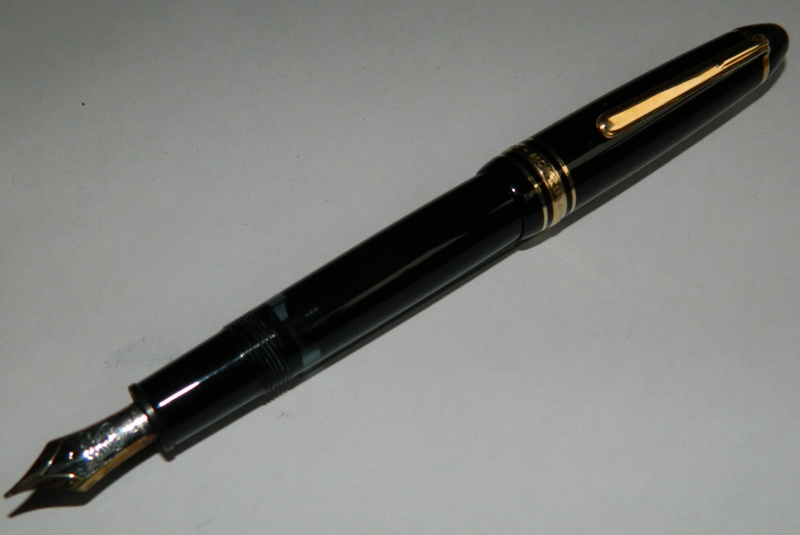 Black hard rubber Montblanc fountain pen. Black Montblanc no. 34 fountain pen. Piston filler. In fine working condition. d.kr. 750,00 or 100,00 Euro. 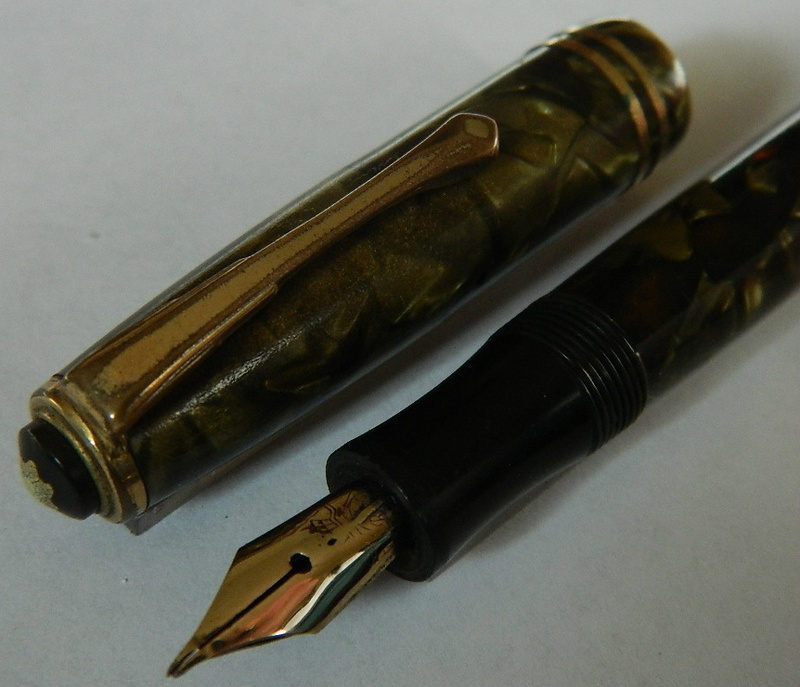 Green marbled Montblanc 246 fountain pen from the mid 1950s. Push button filler. All original parts. No. 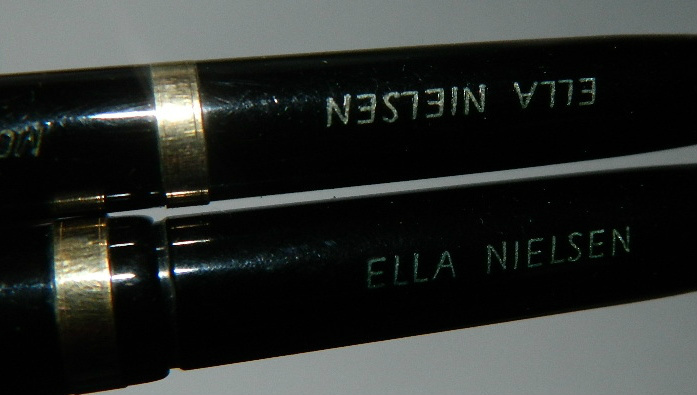 2 nib. Ready to be used with a new rubbersack. PRICE ON REQUEST / RET HENVENDELSE ANG. PRIS. 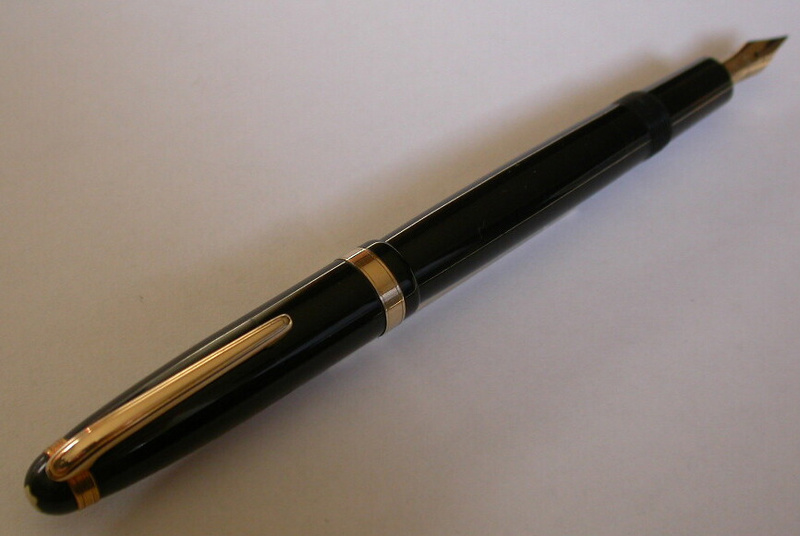 Sort Montblanc 204 fyldepen. Omsækket. Nib defekt. 13½ cm lang. Sort Montblanc 204. Defekt nib. 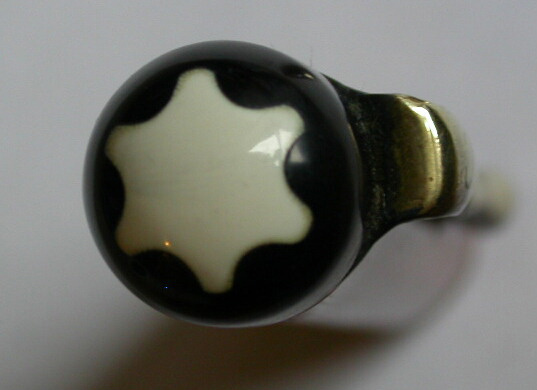 HIGH WHITE STAR: Green marbled Montblanc SIMPLO fountain pen. Push button filler. Ready to be used. PRICE ON REQUEST. Ret henvendelse ang. pris. 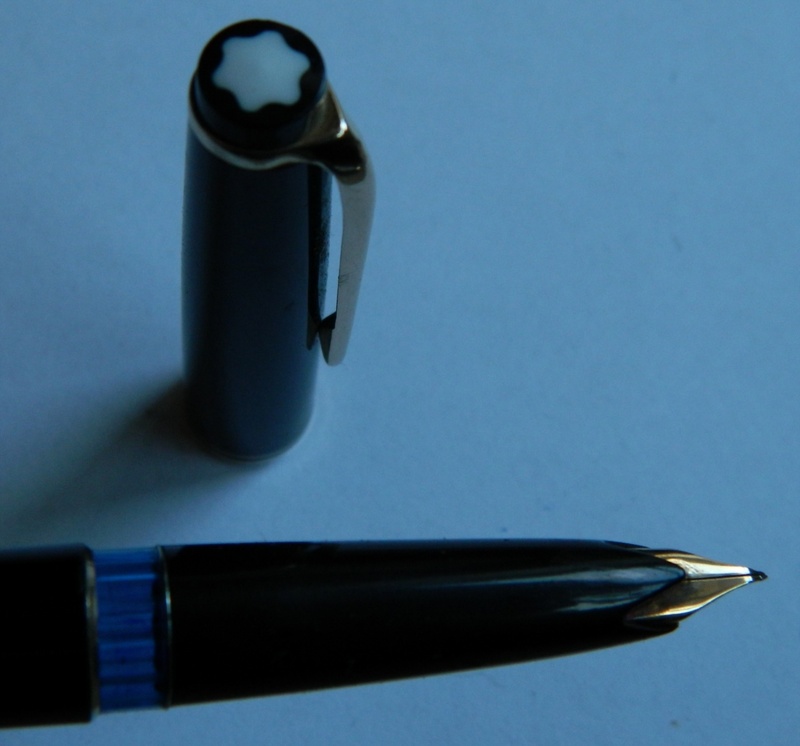 Black hard rubber Montblanc fountain pen with big white star. All original parts. No. 2 nib. Push button filler. Ready to be used with new rubbersack. d.kr. 1.600,00 or 216,00 Euro. Black Montblanc Meisterstück 146 fountain pen. In fine working condition. PRICE ON REQUEST - Ret henvendelse ang. pris. 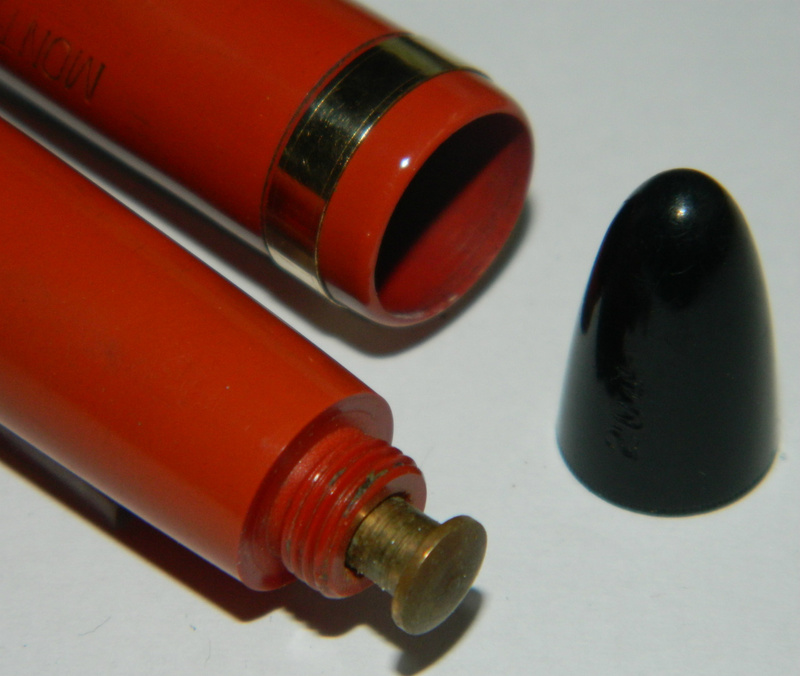 Black Montblanc no. 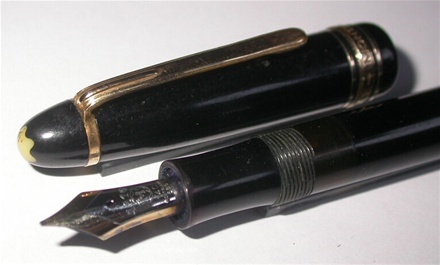 244 fountain pen. SHORT MODEL. Piston filler. Ready to be used. 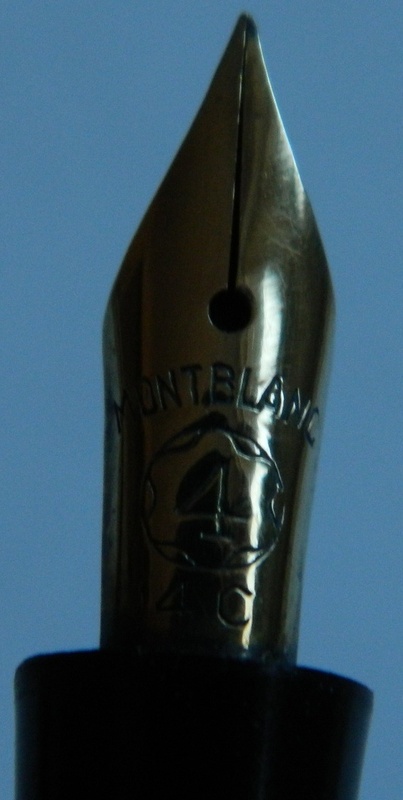 Original 14 carat gold nib size 4 "MONTBLANC" on the cap and model number on the bottom cap. 11 cm long. PRICE: d.kr. 800,00 or 108,00 Euro. Black Montblanc no. 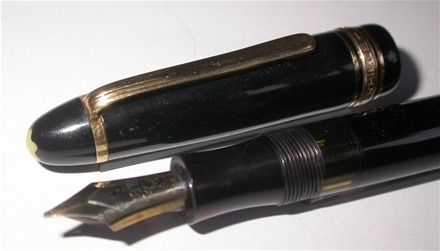 244 fountain pen. SHORT MODEL. 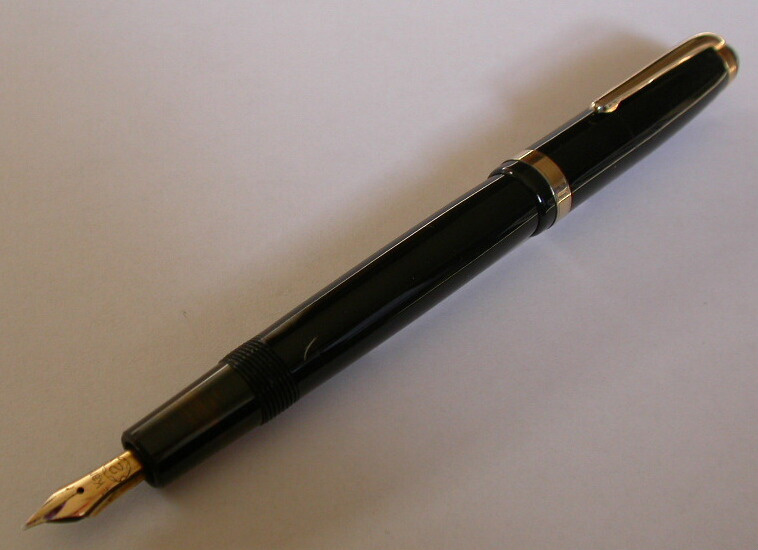 Black Montblanc no. 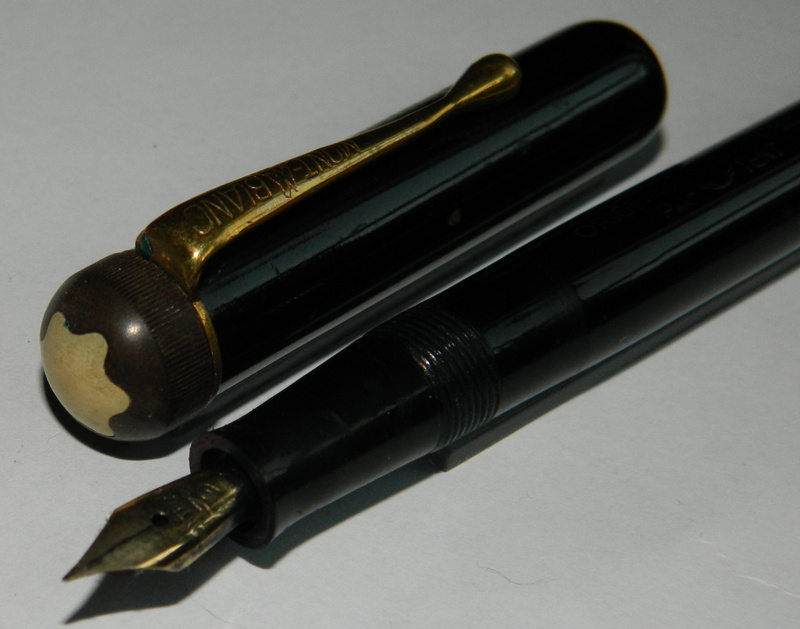 22 fountain pen. Pistion filler. In fine working condition. White star in top an bottom. 13 cm long. PRICE: d.kr. 750,00 or 100,00 Euro. HIGH WHITE STAR: Montblanc 246 fountain pen. Piston filler. Ready to be used. 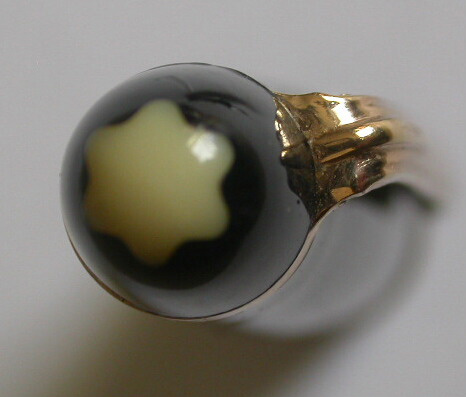 Deep MONTBLANC imprint on the cap. Model number on the small bottom cap. Clear ink window. All original parts. 13 cm long. PRICE: d.kr. 1.100,00 or 148,00 Euro. HIGH WHITE STAR: Montblanc 246 fountain pen. Black Montblanc no. 32 fountain pen. Piston filler. Produced in the 1960s. 13 cm long. Price: d.kr. 700,00 or 95,00 Euros. Black Montblanc no. 32 fountain pen. Black Montblanc Meisterstück # 144 fountain pen. Piston filler. 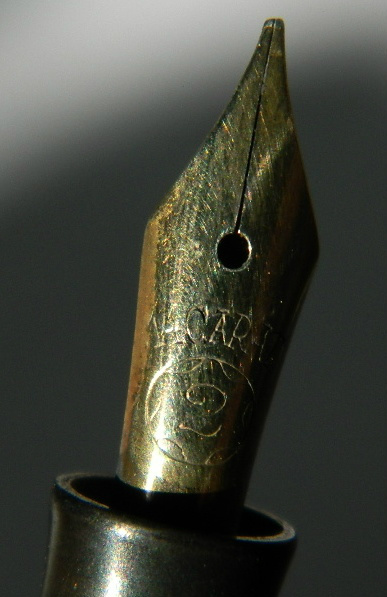 "EF" nib. Produced in the mid 1950s. 13 cm long. Price: d.kr. 1.800,00 or 243,00 Euros. Black Montblanc Meisterstück # 144 fountain pen. 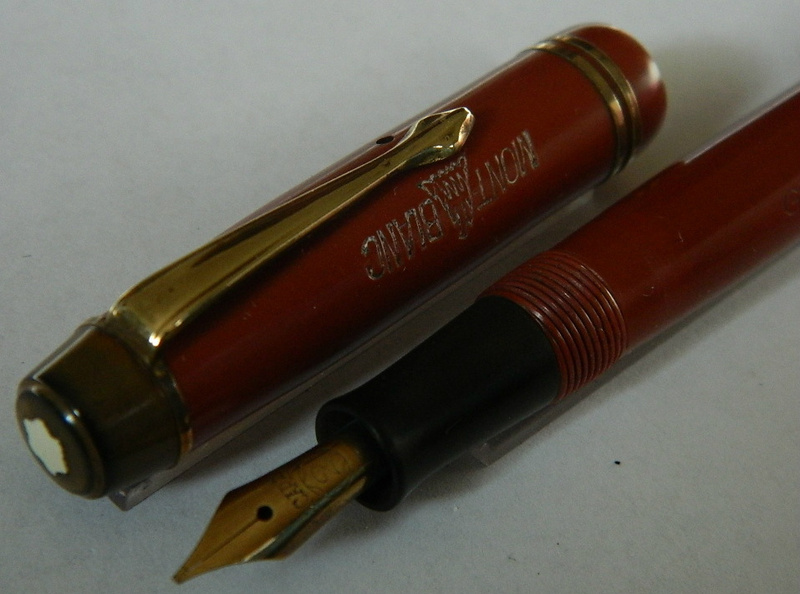 Coral red Montblanc no. 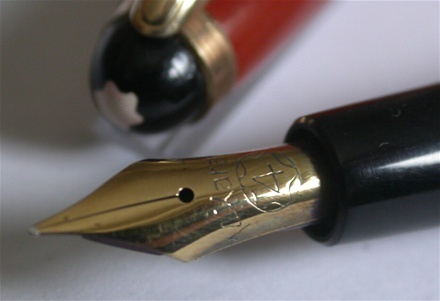 204 fountain pen. Made in Denmark in the 1950s. Push button filler. Ready to be used. All original MB parts. 13½ cm long. Price on request/Ret henvendelse ang. pris. 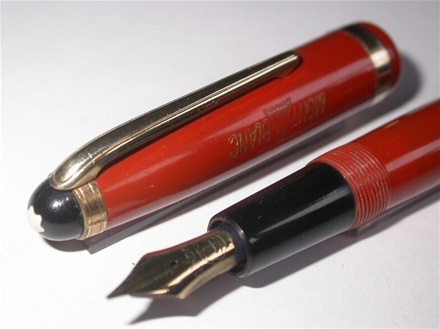 Coral red Montblanc no. 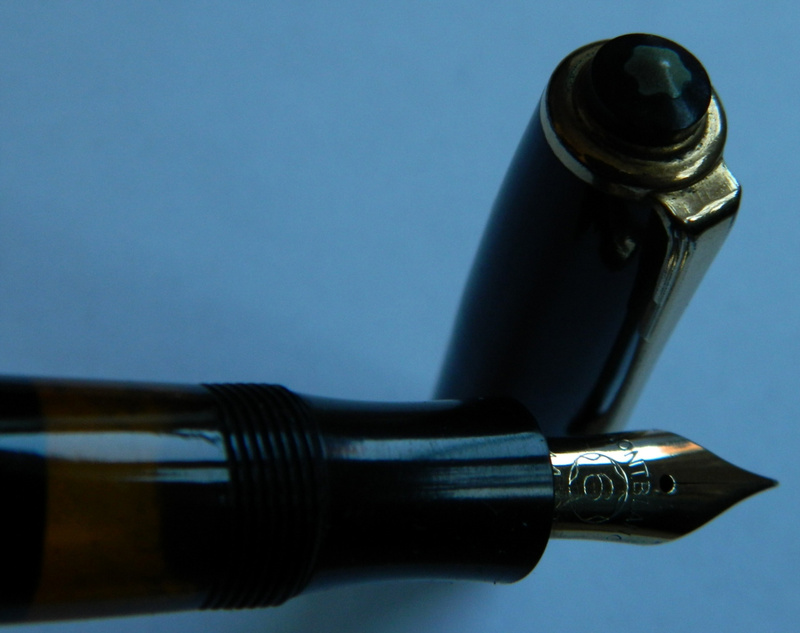 204 fountain pen. 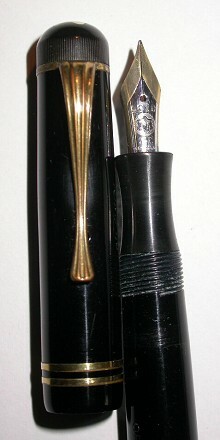 Grøn marmoreret Montblanc fyldepen 244. Pistion filler. 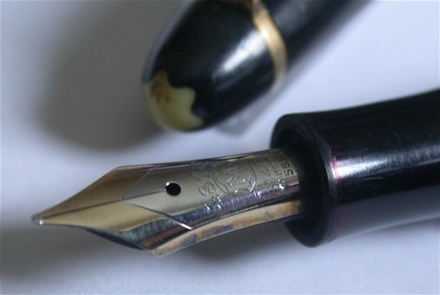 U-original MB nib. 12½ cm lang. KR. 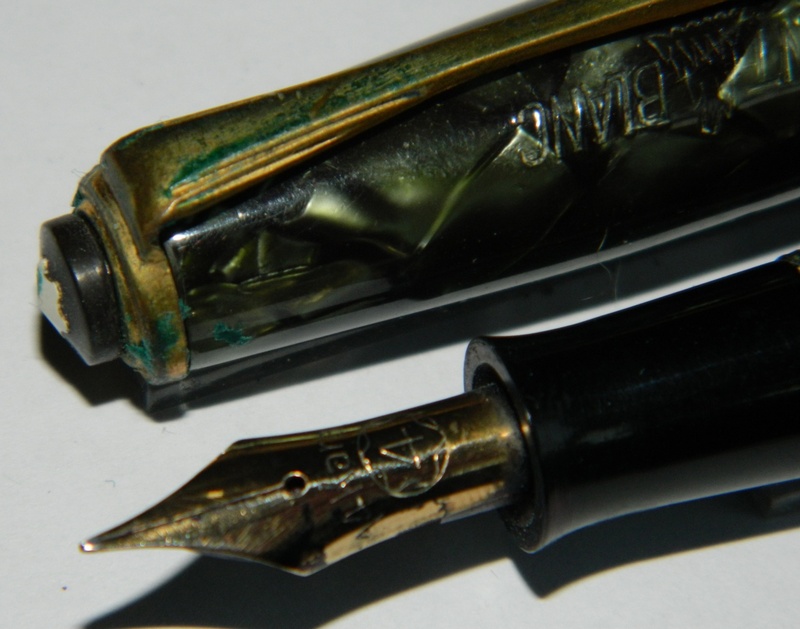 1.400,00 Green marbled Montblanc no. 244. Piston filler. 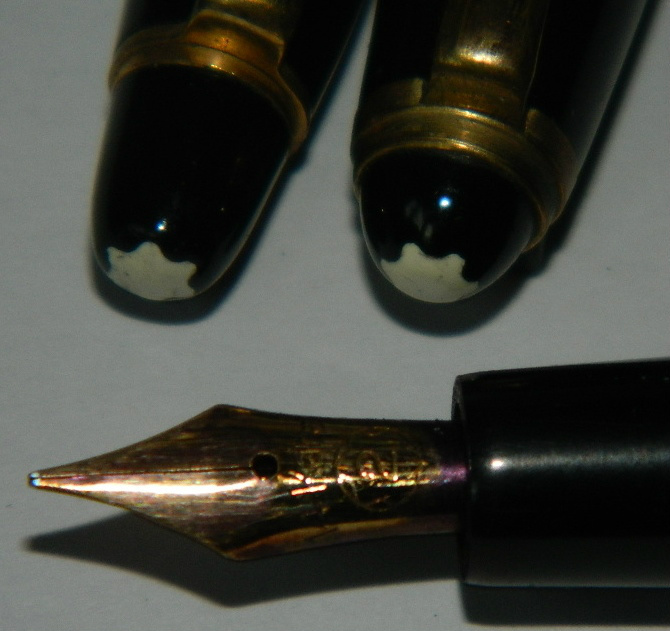 Un-original MB nib. No damages. 189,00 Euro. 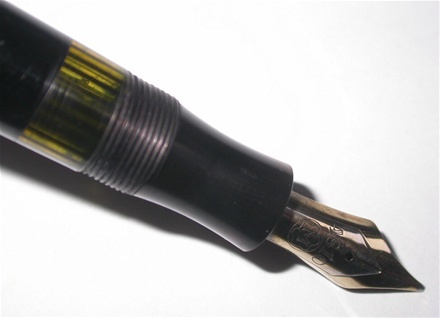 Green marbled Montblanc 244 fountain pen. Koralrød Montblanc no. 2 fyldepen. Push button fylder. Ny gummisæk skal indsættes før brug. Personligt navn indgraveret: GUDRUN LARSEN. Ingen skader eller reparationer. 12½ cm lang Coral red MB no. 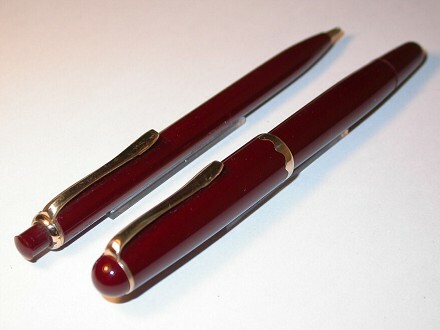 2 fountain pen. 1940s. Need a new rubbersack before working. RET HENVENDELSE ANG. PRIS/PRICE ON REQUEST. Coral red Montblanc 2 RET HENVENDELSE ANG. PRIS/PRICE ON REQUEST. Koralrød Montblanc fyldepen. RET HENVENDELSE ANG. PRIS/PRICE ON REQUEST. Black Montblanc No. 2 from the 1930s. Push button filler. All parts original on this model. Engraved MONT BLANC on the cap. 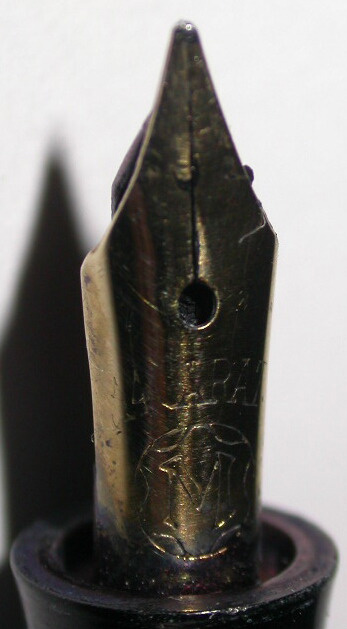 The nib in 14 carat gold is marked "2". 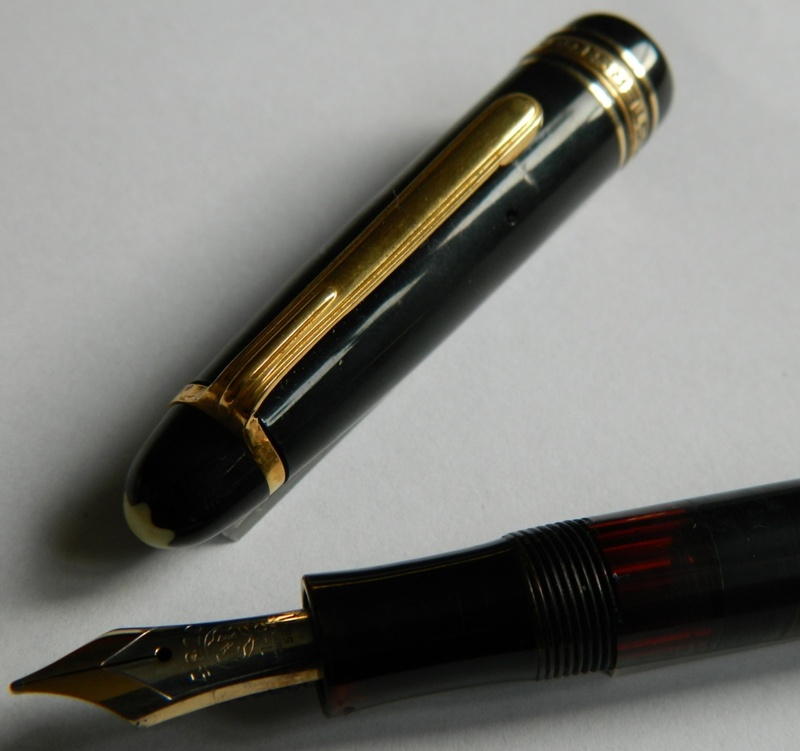 The cap slightly wavy on the surface, but sits well on the pen. 13 cm long. 750,00 d.kr or 95,00 Euro. Black Montblanc No. 2 from the 1930s. 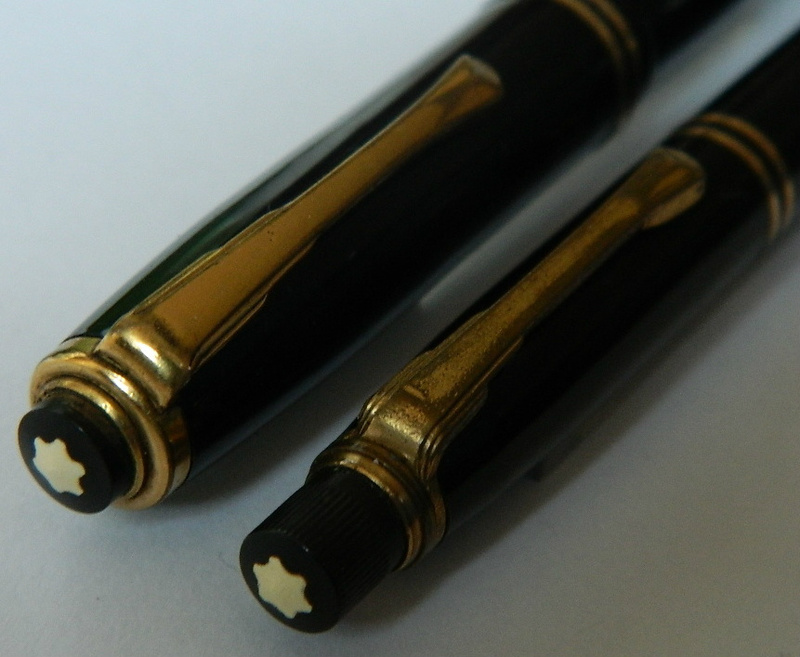 Black set of fountain pen and pencil from Montblanc - Fountain No. 244 and pencil no. 46. Both are in good condition. 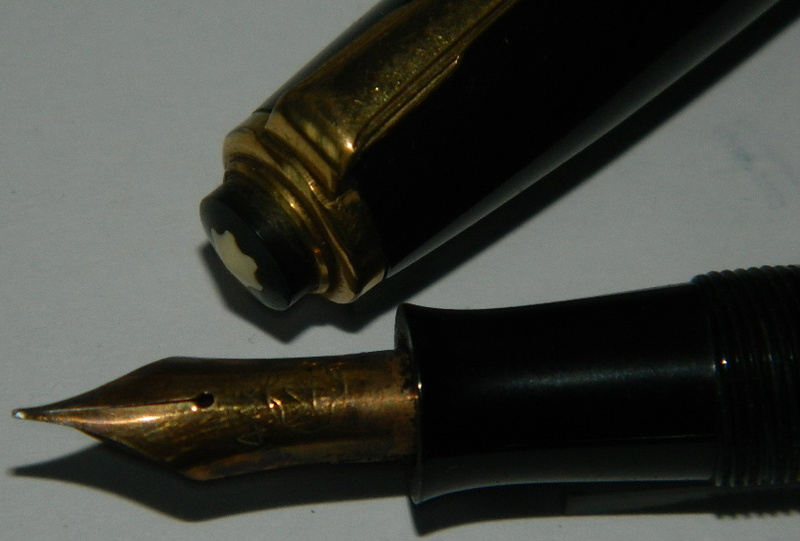 Fountain pens: Loose cap belts. New rubbersack to be inserted again to make the fountain pen functional. New rubbersack can be added for kr. 300.00 in addition to the price. The pen is 13 cm long. The pensil works - 13 cm long. However, it must be inserted a new lead. 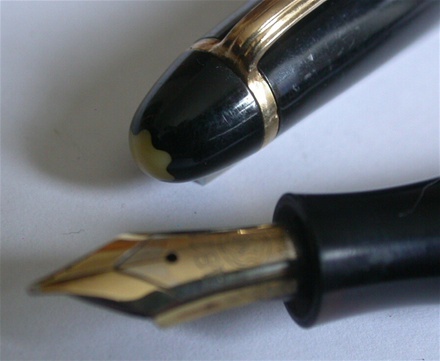 Fountain pen and pencil without damage or repairs. Made in Denmark in the mid 1950s. 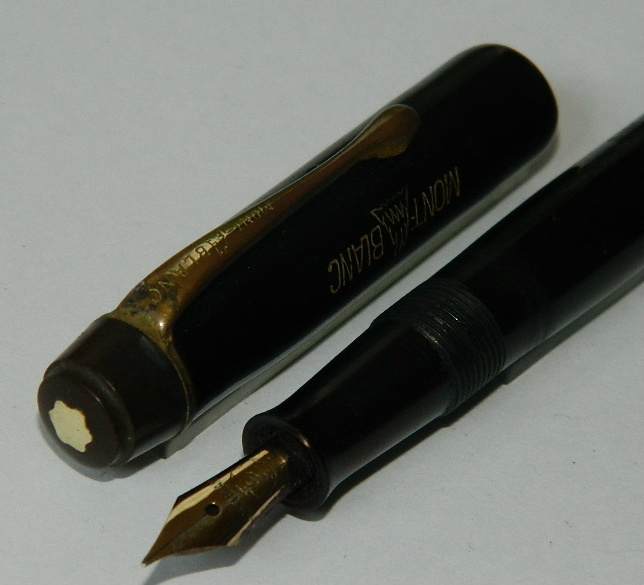 Black set of fountain pen and pencil from Montblanc - Fountain No. 244 and pencil no. 46. 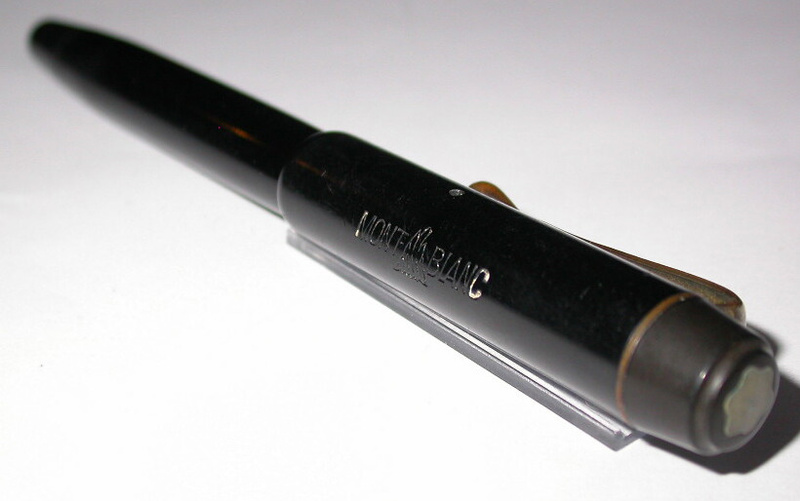 Montblanc fountain pen no. 202 and pencil no. 12K. Both are in good condition. New rubbersack to be inserted again to make fountain pen functional. New rubbersack can be added for d.kr. 300.00 in addition to the price. 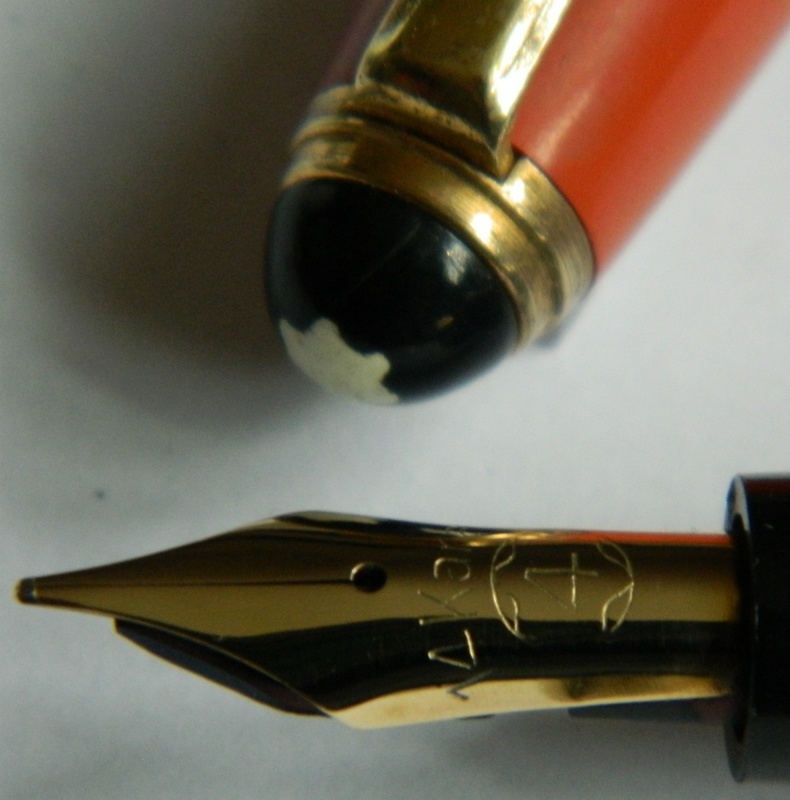 The pen is 12½ cm long. The pencil works - 12 cm long. 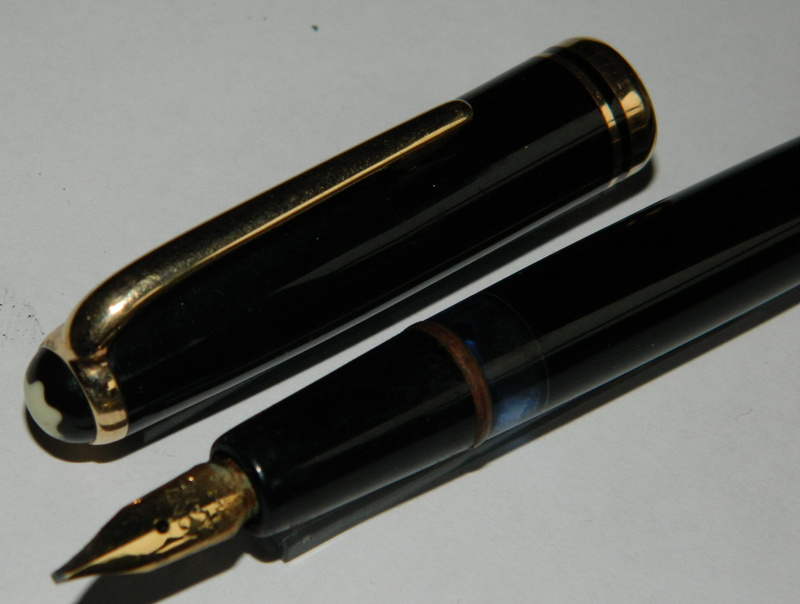 Fountain pen and pencil without damage or repairs. There is, however, engraved personal name. Made in Denmark in 1950. 800,00 d.kr. or 108,00 Euro. 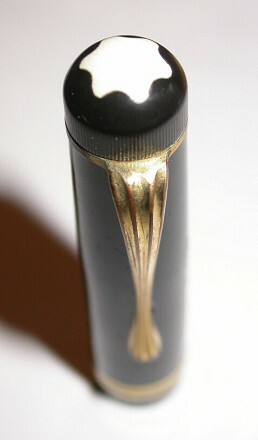 Montblanc fountain pen no. 202 and pencil no. 12K.